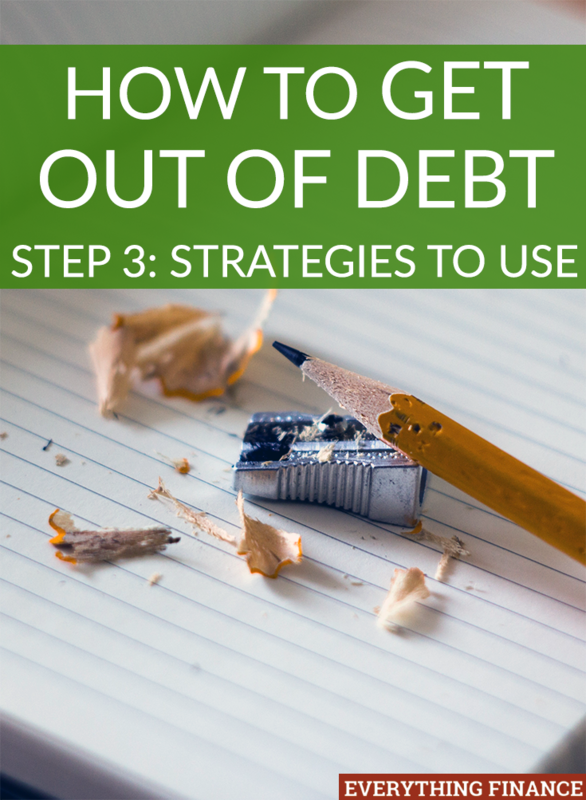 This is the third in a four-part series on How to Get Out of Debt. Read Part I here and Part II here. Based on your monthly budget, you now know how much money you can contribute to your debt each month and you have a deadline in place as to when you want to pay off all your debt. How do you keep the momentum going? Your debt repayment plan could take years. For my husband and I, it took 45 months. So how do you stay motivated to pay off debt? Highest Interest Rate: Should you pay off your debt based on the debt with the highest interest rate? While this is the most financially sound practice based on mathematics, your highest interest rate debt can also be the largest. It can be emotionally un-rewarding to feel like you’re not seeing the progress you want to make. Lowest balance: You can also choose to pay off your debt based on the lowest balance. This is the strategy we chose because while it might not have been the smartest move financially, it really helped with keeping us motivated to pay off debt. It was easy to eliminate balances that were only a few hundred dollars, as opposed to the ones that were in the five figures. Crossing off balances from our debt list helped us feel like we were making more progress. Choose the option that suits your needs the most, and don’t be afraid to change it in the middle of your debt payoff journey if it’s no longer working for you. Once you have your debt repayment strategy in place, it’s important to be proactive in your debt repayment. Consult Creditors: Call your creditors and find out if they can offer you a lower interest rate or reduce the balance in any way. Does it make sense to consolidate your debt? If you can’t make any headway with creditors, does it make sense to move your debt to a promotional offer with another credit card offering a 0% interest rate for a period of time? Don’t just sit back—this is how you got into debt in the first place, remember? The new you needs to be proactive and continually seeking new ways to reduce your debt. Reduce Expenses: Have you already cut all the excess from your budget? What are some sacrifices you can still make to help pay off your debt faster? Some sacrifices that my husband and I made included moving from a one-bedroom apartment to a studio, which helped us save $500 a month. We also downgraded our utilities and cell phone plans. Can you cut out cable, Netflix, gym memberships, Starbucks, lunches out, all dining out, entertainment, clothing, etc? Keep in mind this isn’t for the rest of your life, it’s only temporary. Increase Income: If you’ve done everything you can to reduce your expenses, it’s time to increase your income. Can you take on a side job? Sell items around your house? Some of the odd jobs I did while trying to pay off my debt included babysitting, mystery shopping, taking surveys, and becoming a freelancer. Every little bit of extra income helped get me one step closer to becoming debt free. What debt repayment strategy did you choose when paying off your debt? Have you found ways to earn more money and cut back to prioritize paying off your debt? The Debt Movement Is Here: Will You Join?